Hillary Clinton Has Wanted Harriet Tubman On The $20 For A While, & Now It's Actually "About Time"
Treasury Secretary Jack Lew announced on Wednesday that a woman will be featured on the new $20 bill, and although there's no official statement yet, insiders say that Civil War heroine Harriet Tubman is the frontrunner to grace the face of the bill. That should make another frontrunner pretty happy — Hillary Clinton has wanted Harriet Tubman on the $20 bill for at least a year. When rumors of the planned redesign to American currency featuring a woman on the front first began circulating, Clinton tweeted in May 2015: "Harriet Tubman could be the first woman on the $20 bill. Awesome, well deserved—and about time." Clinton apparently has a longstanding and well-documented admiration for Tubman. Back in 2003 during her first term as a New York senator, Clinton helped to secure funds for the Harriet Tubman Home in Auburn, New York, a museum of Tubman's life and a National Historic Landmark site. "Harriet Tubman was one of our nation's most courageous freedom fighters," said the then-senator. "It is important that we officially recognize her extraordinary service." During her speech before the Democratic National Convention in 2008, she famously quoted one of Tubman's most inspiring sentiments as she summarized the long and ongoing struggle of women striving for equality. "If you hear the dogs, keep going. If you see the torches in the woods, keep going. If there's shouting after you, keep going. Don't ever stop. Keep going. 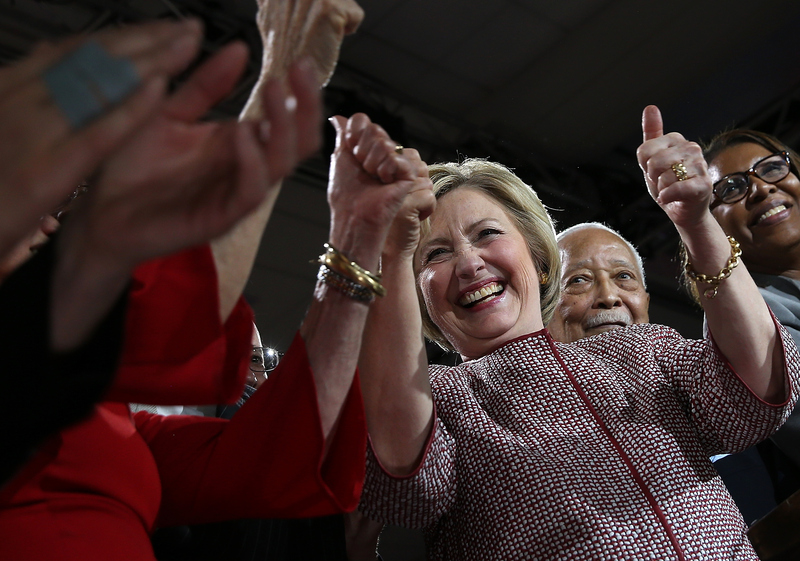 If you want a taste of freedom, keep going," Clinton said before the cheering crowd. (Historians say the quote was liberally paraphrased but was used in the same style and spirit). Clinton's love of Tubman made headlines again last year when she repurposed the quote during a conversation with Maryland senator Barbara Mikulski, which was released with Clinton's emails from her private server. "Oh, Barb, we got trouble w a capital "T" in River City. I miss you too and will try to call soon. Keep going, as your and my "home girl" Harriet Tubman wpuld [sic] say!" Calling Tubman her "home girl" might be problematic and/or appropriative, but the spirit of female friendship and support shows that Clinton gets it. It's easy to forget how progressive Clinton really is, especially when viewing her through a millennial lens. But she's been on the feminist grind for a long time, and her appreciation and laudation of Tubman over the years is just one example of the solidly feminist basis of her politics.